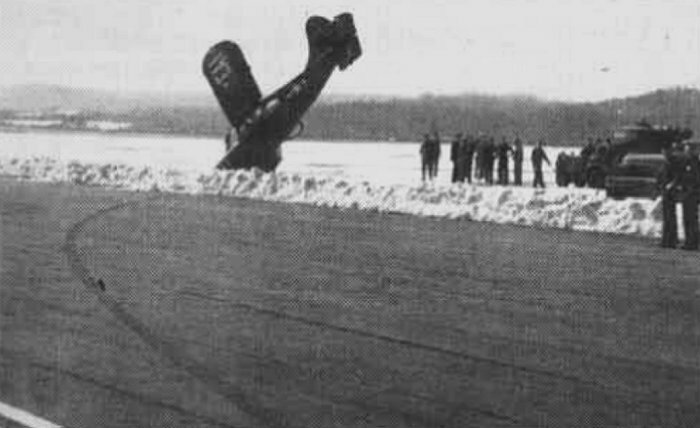 The pilot of the OY-1 was landing on a wide runway with a variable cross wind from the right. Instead of keeping over towards the left side, he landed to the right of the center line and found himself headed for a snow-bank. He applied excessive left brake and rudder and cart-wheeled into the snow. The USMC used the Sentinel during WWII, they acquired 306 and Convair made them.